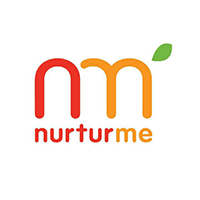 Nurturme Yum-a-Roos are freeze dried organic vegitables and fruits which are in toddler sized bites. We received Banana, apples, with brocoli, and another bag with peas, sweet corn, and apples. My daughter and I are vegetarians and I’m always looking for creative ways to get her to eat more fruits and vegetables. This is absolutely perfect for her. She loves having bite sized snacks available to her since she doesnt typically eat large meals, and she grazes. Originally she was a bit unsure since she usually eats her fruits and vegitables on a normal basis anyhow. But once she got ahold of these she could not get enough of them and devoured a whole bag in one sitting. Which for her is incredibly unusual, but I think its a good thing she likes them. I tried them myself and each fruit and vegetable tasted as it should of, which is good since most freeze dried fruit and vegetables don’t. They also didnt have a weird texture and each serving is around 7 grams with four servings in each package. These also don’t have any sugar added and are packages in BPA free packages, made in the USA, vegan, gluten free, kosher, organic, and perservative free. These are also enviromentally friendly which means they produce little to no green house gasses during production and are delivered to their locations in the most eco-friendly way possible. Because they are perservative free its reccomended to eat these withen a week. I would assume that they would draw moisture out of the air and rehydrate. Being vegan also means that these have no animal products or bi-products and did not cause animal cruelity in their making. Starlooks September Review, Look Book Resort Edition 2015.